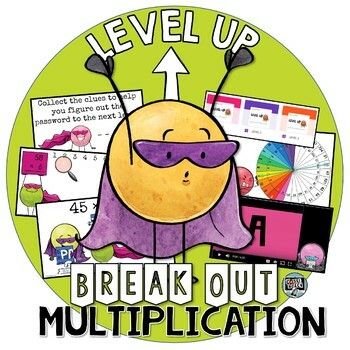 This fully digital activity gives students the chance to work through multiplication problems (1-digit and 2-digit multiplication) and use their answers to find clues that will help them determine the needed password for leveling up! This game is completely digital. 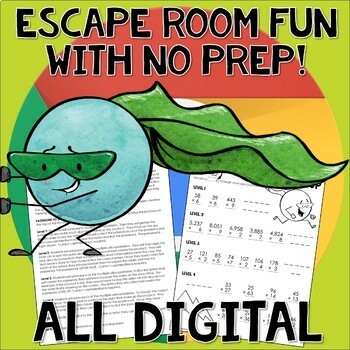 It is similar to an escape room or a break out in that students must decipher passwords based on a series of clues. 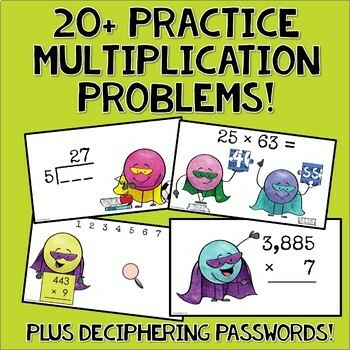 However, these clues come directly from solving the multiplication problems! It's great practice, creative thinking, and fun! You can use the links below to check whether the technology will work on your students' computers. Some districts have filters blocking outside links, so if you don't often use Google in your class, make sure you test using a student computer! 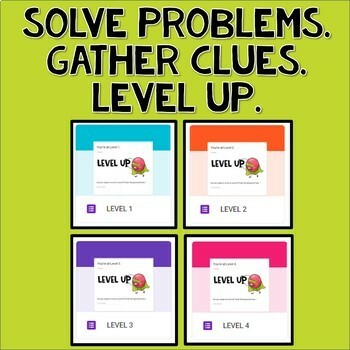 A printable recording sheet is provided to give the students something to turn in (for a grade, if desired), but the activity can be completed without any printables!